HTML is one of the easiest languages to learn. As easy as it is, it is not that fascinating when you have to write a whole bunch of code without any assistance whatsoever. There are many things that can easily go wrong. That being said you can make your life easier by using good HTML editor. 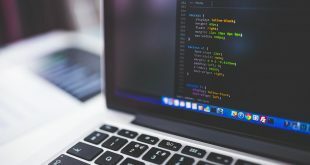 Though there are many paid and free HTML editors, not many of them are open source. 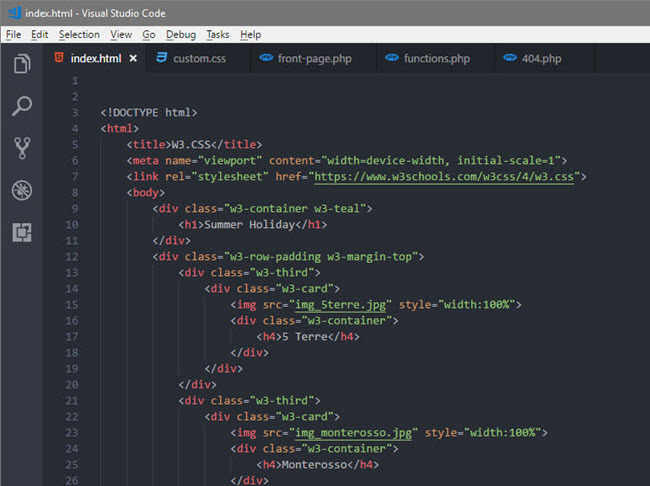 So, here are some of the best, free, and open source HTML editors that you should try. Apart from the usual features, Aptana Studio has built-in Git integration. 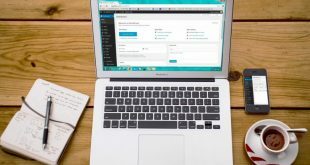 If you already have a website, you can use the included Deployment Wizard to sync setups, upload and download files using FTP, SFTP, and FTPS protocols. When dealing with Ruby, you can use the same deployment wizard to automatically publish your applications. 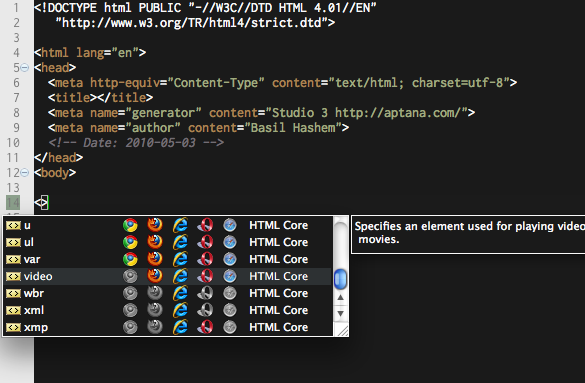 Other features of Aptana Studio include but not limited to support for all major browsers, built-in terminal, layout and user interface customization, find and replace, one-click browser previews, detailed documentation, etc. Platform support: Aptana Studio supports Windows, MacOS, and Linux. Other features of Notepad++ include multi-view, support tabs, support for vertical tabs, ability to launch Notepad++ with different arguments, support for Regx, file zoom in and zoom out, bookmarks, find and replace, etc. Of all the features, Notepad++ has a pretty great Macro recording and playback functionality so that you can automate repeated tasks with ease. Unlike with other code editors, Visual Studio Code has Emmet built-in. This makes it easy to use the powerful Emmet HTML and CSS abbreviations and create dynamic snippets. Trust me, if you deal with a lot of HTML, Emmet will make your life easier. You can know more about Emmet abbreviations from here. If you work with Git and GitHub and looking for a code editor with solid integration then Atom is for you. Though, do remember, compare to other editors in this list, Atom is very slow to startup, which is a big and has a relatively high memory usage. Brackets has all the regular features you’d expect from a good code editor. 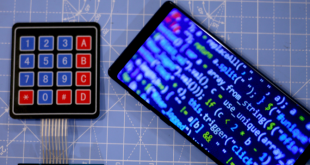 Some of them include find and replace, quick edit, JSLint, support for LESS and SCSS, vertical and horizontal split view, Theseus integration, live preview, JS refactoring, wrap selection for try and catch, ability to create Getter and Setters with a single click, etc. 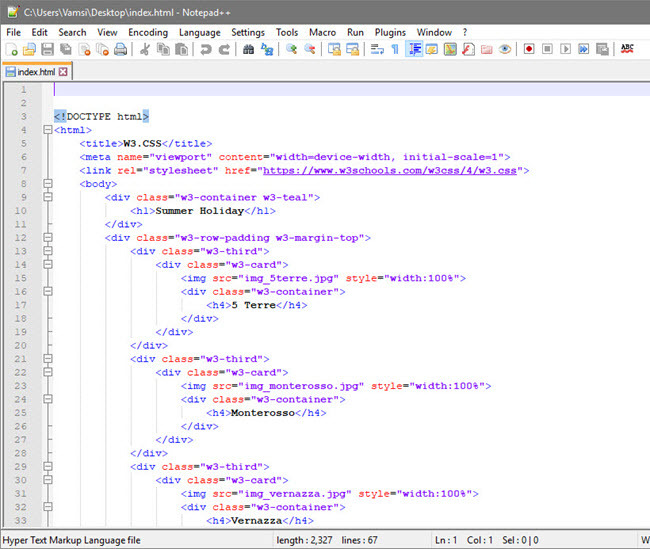 If you are not looking to code in HTML but want to create HTML web pages then KompoZer is what you need. 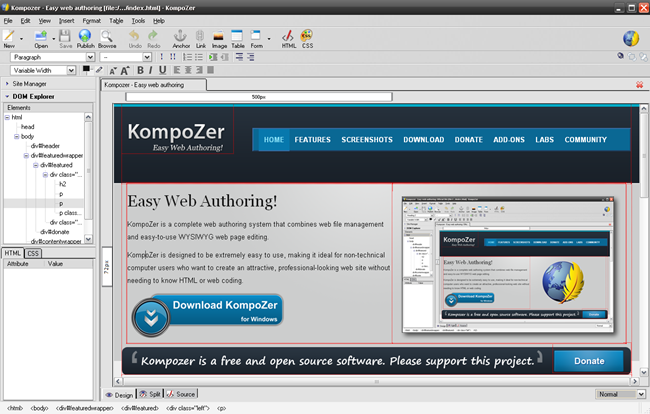 KompoZer is a web authoring and open source WYSIWYG HTML editor that makes it easy to create professional and attractive web pages. No HTML and CSS coding experience is needed. If you think I missed any of your favorite open source HTML editors then comment below and share them with me.